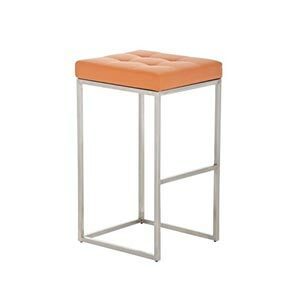 From stylish contemporary breakfast bar stools that would look perfect at home in the kitchen or at the bar of a club to retro and more classic looking bar stools & kitchen chairs, you should be able to find some beautiful examples of orange kitchen bar stools here. 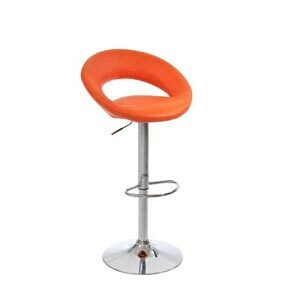 We are always searching the net and adding to our collection of bar stools and chairs and we think many will find a kitchen seat here that will look great under their breakfast bar or dinner table. 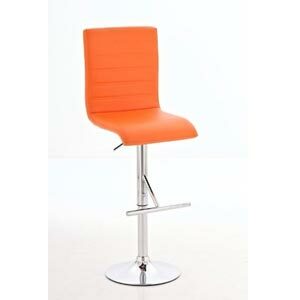 At My Kitchen Accessories we attempt to list the best orange bar stools and chairs that are available to buy in the UK, if you are looking for something in a bright and vibrant orange, or are after a darker shade of orange or a sophisticated cognac we have accessories for your home and kitchen in a number of orange coloured variations. Our breakfast stools are manufactured by some of the top brands around including Allegro, Bentley Home, CLP, Costantino, Jago & Miadomodo. 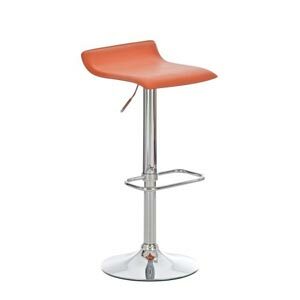 Choose from a range of high quality bar stools from some of the best producers of breakfast bar stools in your favourite tone of orange. 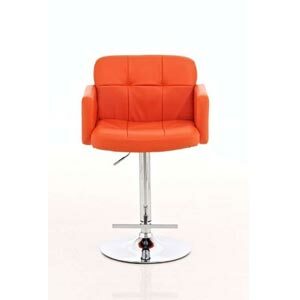 Most of the bright orange breakfast bar stools listed below come complete with all of the features that you could need including 360 degree rotation and footrests. Many of the stools and chairs are height adjustable and all feature a comfortable seat making sitting in them a great pleasure for all. With a range of styles to choose from there should be a breakfast bar stool below to suit everybody’s preference and kitchen decor. 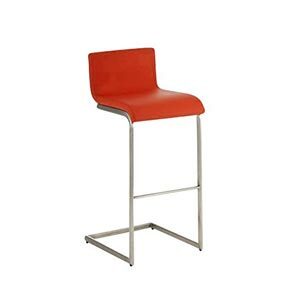 No matter what your price range, our orange breakfast bar stool collection is filled with stylish and high quality bar stools and kitchen chairs that won’t break the bank. 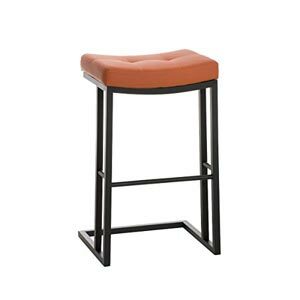 With the prices for a bar stool or dining chair starting at around £30 you can easily kit out your kitchen bar or table with 4 stylish and fun bar stools or chairs for less than a couple of hundred pounds.